This greenhouse was recently completed by our Installation Team. 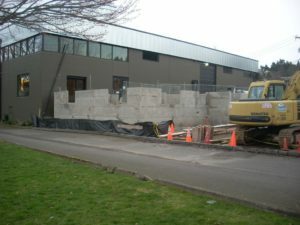 We will post more updates with the landscaping, pool and brick work. “Over Stocked” on the SUN GARDEN GREENHOUSE! 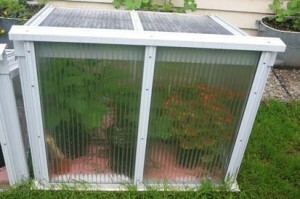 All “Sun Garden” greenhouses that are painted Green or Brown will be sold $2195.00. While supplies last. You ‘save’ $300.00! Contact us today! 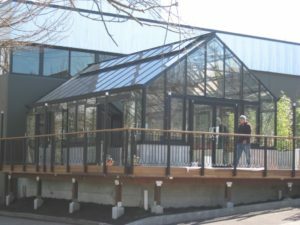 Local winery near downtown will soon be enjoying in beautiful glass enclosure! Foundation is in. 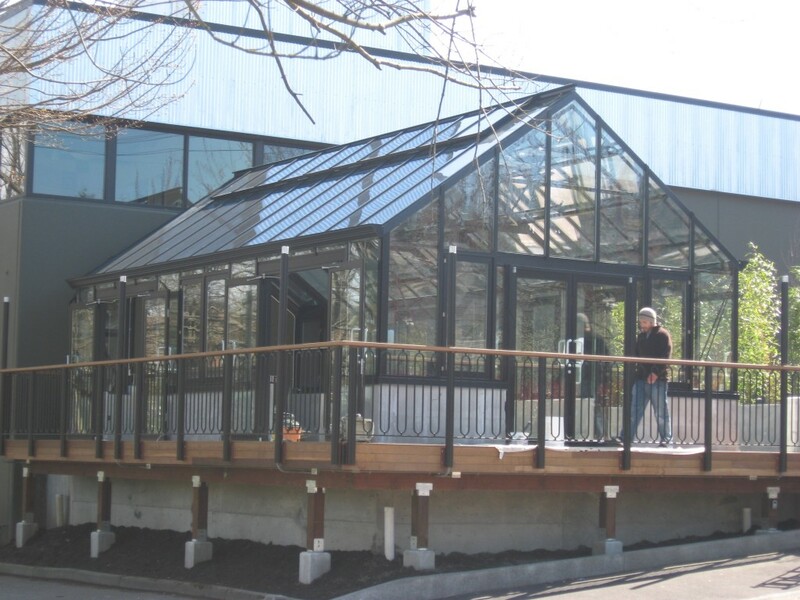 We will start our glass construction in March. Will the plants have enough light transmission for active growth? 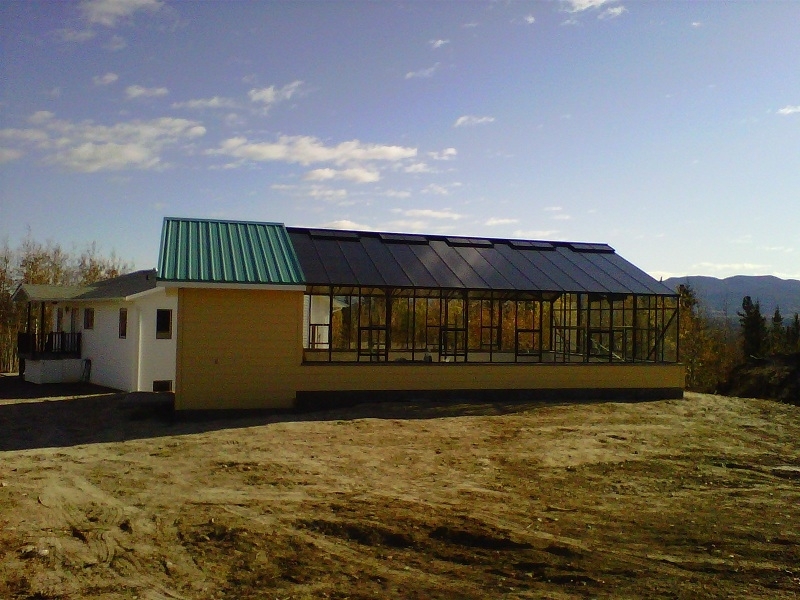 Does this five-wall polycarbonate covering retain the heat and save on heating costs? As a greenhouse gardener these two important questions needed to be answered. I live in Langley B.C. on the Pacific West Coast and my 3’ x 4’ five-wall polycarbonate cold frame arrived on January 9th the middle of winter. A one-inch rigid Styrofoam board was placed on the ground inside the cold frame to help keep the heat inside. For heating the cold frame a soil cable-propagating bed was placed on the Styrofoam. A maximum-minimum thermometer was used to record the night and day temperatures. For the next few months there were some nights that the temperature dropped a few degrees below freezing. The soil cable kept the cold frame just slightly above the freezing mark. The first week of April potatoes and onions were started in their containers. A week later the lettuce, parsley and pepper seedlings were planted in the cold frame. Then on April 22nd there was an unexpected frost but the cold frame stayed above the freezing mark. Plants leaves will visibly show the gardener what the plant requires, whether it is watering or fertilizing or to relocate the plant for more sunlight. 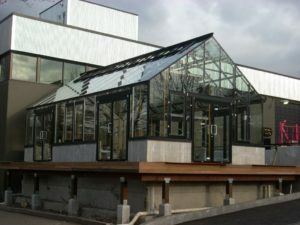 To test for light transmission under a five-wall polycarbonate covering, in mid-April a Vancouver Centennial Geranium was placed in the cold frame. The leaf color of this plant intensifies with exposure to bright sunlight. The leaf turns a striking deep brown color. For comparison, another Vancouver Centennial Geranium was located in a shaded area of my glass greenhouse. This picture was taken in early June and what a contrast. The geranium placed in the shade turned green with just a touch of brown leaf color. The Vancouver Centennial geranium growing in the five-wall polycarbonate cold frame is spectacular with its deep brown leaf color. Both of the Vancouver Centennial Geraniums are now planted in the garden and the shaded plant leaves have again turned to a deep brown color. In conclusion, this experiment took place during a cloudy, rainy and cold spring season. With only a few sunny days I was very surprised how well the plants grew in the cold frame. There was plenty of light transmission in the five-wall polycarbonate cold frame for active plant growth and flowering to take place. 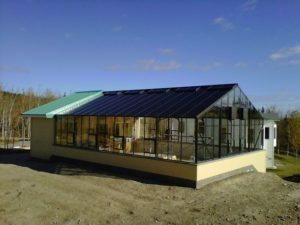 The five-wall polycarbonate covering did have the insulating properties to retain the heat in the cold frame. In a heated greenhouse a five-wall polycarbonate covering is the most energy efficient and will reduce heating costs. We have recently had our website redesigned! Please make yourself at home and make sure you check out some of the photo galleries! 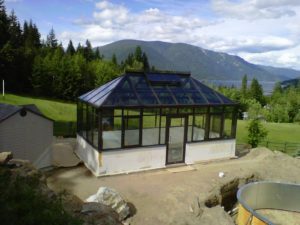 Also, if you need a quote for a new Greenhouse, please make sure to use the form on our website to let us know what you have in mind. 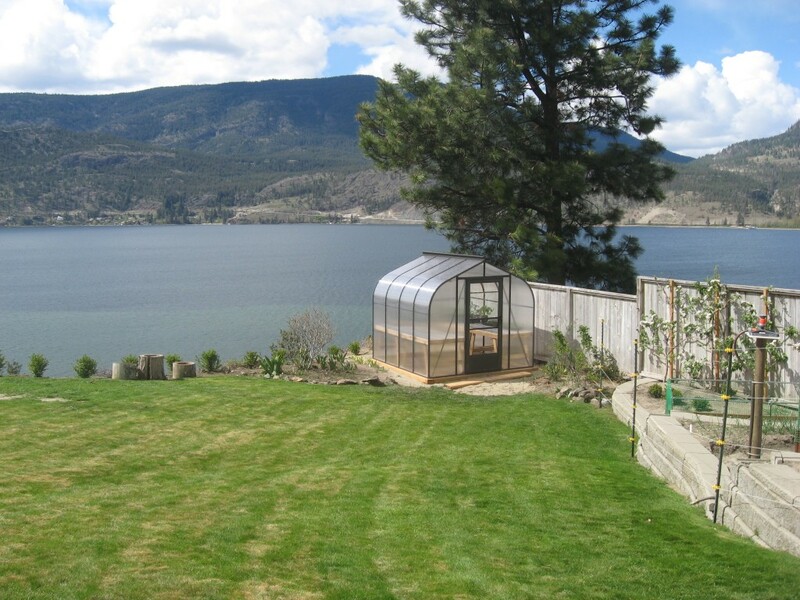 All our hobby and commercial greenhouse kits are made of heavy aluminum to withstand the elements. 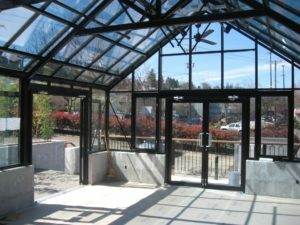 All greenhouses have glazing rafters on the interior to hang baskets, shelves, etc. Each greenhouse kit comes complete with a heavy duty screen door which includes a clear glass pane and adjustable screen, as well as automatic roof vents.